Businesses today are developing high traffic ASP.NET web applications that serve tens of thousands of concurrent users. To handle this type of load, multiple application servers are deployed in a load balanced environment. In such a highly concurrent environment, multiple users often try to access and modify the same data and trigger a race condition. A race condition is when two or more users try to access and change the same shared data at the same time but end up doing it in the wrong order. This leads to high risk of loosing data integrity and consistency. This is where distributed lock mechanism comes in very handy to achieve data consistency. 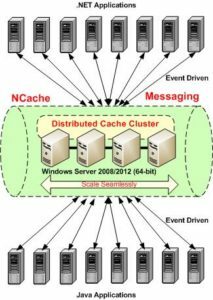 NCache provides you with a mechanism of distributed locking in .NET/C# that allows you to lock selective cache items during such concurrent updates. This helps ensure that correct update order is always maintained. NCache is a distributed cache for .NET that helps your applications handle extreme transaction loads without your database becoming a bottleneck. But before going into the details of distributed locking, you first need to know that all operations within NCache are themselves thread-safe. NCache operations also avoid race conditions when updating multiple copies of the same data within the cache cluster. Multiple copies of the data occur due to data replication and NCache ensures that all copies are updated in the same correct order, thereby avoiding any race conditions. One user withdraws 15,000 whereas the other user deposits 5,000. If done correctly, the end balance should be 20,000. // Cache Item encapsulates the value and its meta data. In the above example, if your cacheitem version is the latest, NCache performs the operation successfully. If not then an operation failed exception is thrown with the detailed message. In this case, you should re-fetch the latest version and redo your withdrawal or deposit operation. With optimistic locking, NCache ensure that every write to the distributed cache is consistent with the version each application holds. The other way to ensure data consistency is to acquire an exclusive lock on the cached data. This mechanism is called Pessimistic locking. It is essentially a writer-lock that blocks all other users from reading or writing the locked item. // NCache will auto release the lock after 10 seconds. // acquireLock should be true if you want to acquire to the lock. Here, we first try to obtain an exclusive lock on the cache item. If successful, we will get the object along with the lock handle. If another applications had already acquired the lock, a LockingException would be thrown. In this case, you must retry fetching the item after a small delay. Upon successfully acquiring the lock while fetching the item, the application can now safely perform operations knowing that no other application can fetch or update this item as long as you have this lock. To finally update the data and release the lock, we will call the insert API with the same lock handle. Doing so, it will insert the data in the cache and release the lock, all in one call. After releasing the lock, the cached data will be available for all other applications. Just remember that you should acquire all locks with a timeout. By default, if the timeout is not specified, NCache will lock the item for an indefinite amount of time. If the application crashes without releasing the lock, the item will remain locked forever. For a work around you could forcefully release it but this practice is ill advised. Since NCache is an In-Memory Distributed Cache, it also provides complete failover support so that there is simply no data loss. 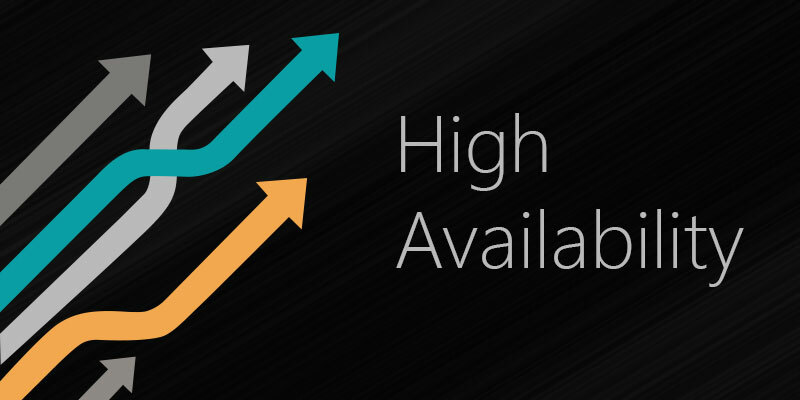 In case of a server failure your client applications keep working seamlessly. In a similar fashion, your locks in the distributed system are also replicated and maintained by the replicating nodes. If any node fails while a lock was acquired by one of your applications, the lock will be propagated to a new node automatically with its specified properties e.g. Lock Expiration. So which locking mechanism is best for you, optimistic or pessimistic? Well, it depends on your use case and what you want to achieve. Optimistic Locking provides an improved performance benefit over Pessimist Locking especially when your applications are read intensive. Whereas, Pessimist Locking is more safe from a data consistency perspective. Choose your locking mechanism carefully. For more details head on to the website. In case of any questions head over to the support page or put in a question either on StackOverFlow or on Alachisoft Forum. This entry was posted in Distributed Cache and tagged Distributed Lock. Bookmark the permalink. Basit is a Solution Architect at Alachisoft - provider of a leading In-Memory Data Grid for Java called TayzGrid and for .NET called NCache. Alachisoft has been a market leader for 10 years in the .NET market with NCache.